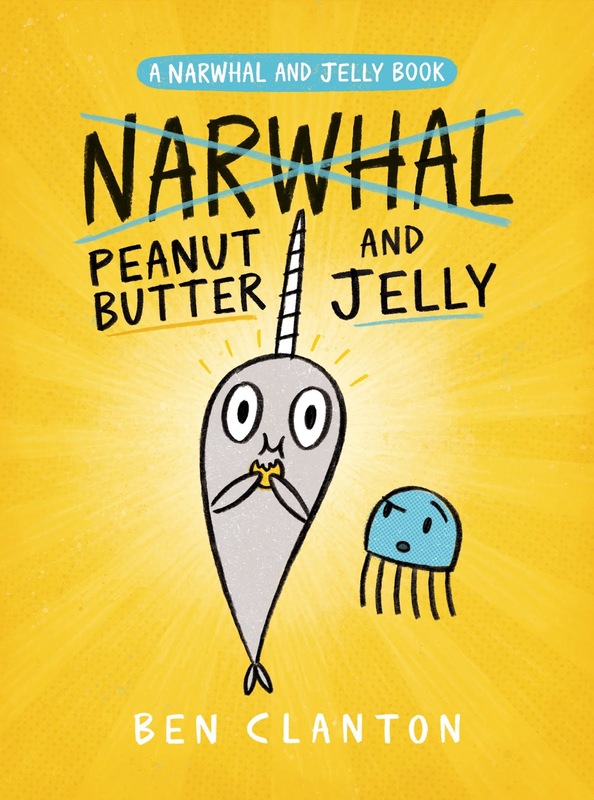 I've just finished working on some last little details for Narwhal & Jelly Book #3: PEANUT BUTTER AND JELLY! It unfortunately took me longer to make this book than I had expected but I'm pretty happy with how it turned out. I hope Narwhal & Jelly readers (a.k.a. pod pals) will be too! Narwhal’s obsession with a new food leads him into hijinks and hilarity in the third book of this award-winning early graphic novel series! Narwhal and Jelly are back and Narwhal has a new obsession . . . peanut butter! He’s so obsessed he even wants to change his name to . . . that’s right . . . Peanut Butter! Ever-sensible Jelly isn’t so sure that’s the best idea, but is all for Narwhal trying new things (instead of just eating waffles all the time, no matter how delicious waffles are).